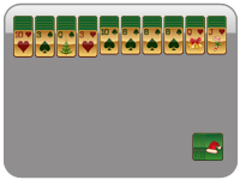 While your little ones spend the afternoon outside building their own Frosty the Snowman this season, keep an eye on them from the warmth of your home while playing Two Suit Spider Solitaire. 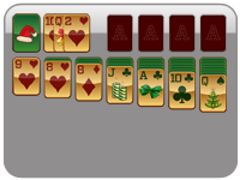 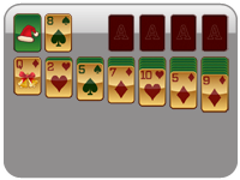 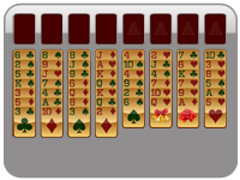 This game provides an added challenge over One Suit Spider Christmas Solitaire by putting another suit in play! While foundations must be separated by suit, you may build your tableau by alternating suits, which may open up more moves for you to work with. 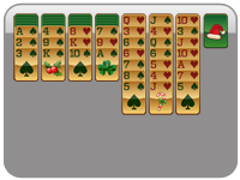 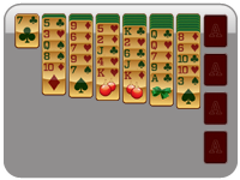 Win the game by building complete cascades of Ace through King in the two suits. Good luck with this version! It is more challenging than using only one suit, but is easier than using all four.